I've started a new bespoke project and this time it's an overcoat I'm having made. As with two previous projects (a three piece suit and a boating jacket) I decided to start looking for the fabric myself. If this is something you would like to do, I have compiled a list of cloth merchants which can be a very good starting point. I new it was tweed I wanted for this new overcoat and there are, of course, many different options for sourcing good tweed. Harris tweed is probably the most well known and I already have a Harris tweed jacket I'm very pleased with (shown is these previous posts). I had, however, had my eye on another tweed producer for a while and after having spent a while studying the fabrics on their website, I decided to get in touch with Hunters of Brora. "It was very important to us to ensure that the fabric we produce is not only made in a Scottish mill but also that the quality of the tweed is as good as it always was. Once we found our mill we added to our stock of tweed which came from the original mill and started going back into production re-making original Hunter’s patterns but also adding a few modern twists to some of them." The new Hunters of Brora tweeds have been very well received and are used by a wide range of tailors, and much appreciated by tweed lovers near and far. They also offer a bespoke service, so if you have a tweed pattern you would like to have made, Hunters of Brora may very well be able to help you. When I got in touch with them, they were very helpful and answered all my questions. We all know it can be difficult to get an accurate impression of what a fabric really looks like, just by looking at photos on the internet. But that problem was easily solved as they offered to send me cloth samples. Thus, I ordered samples from four of the fabrics. The samples were sent to me free of charge. Excellent service! 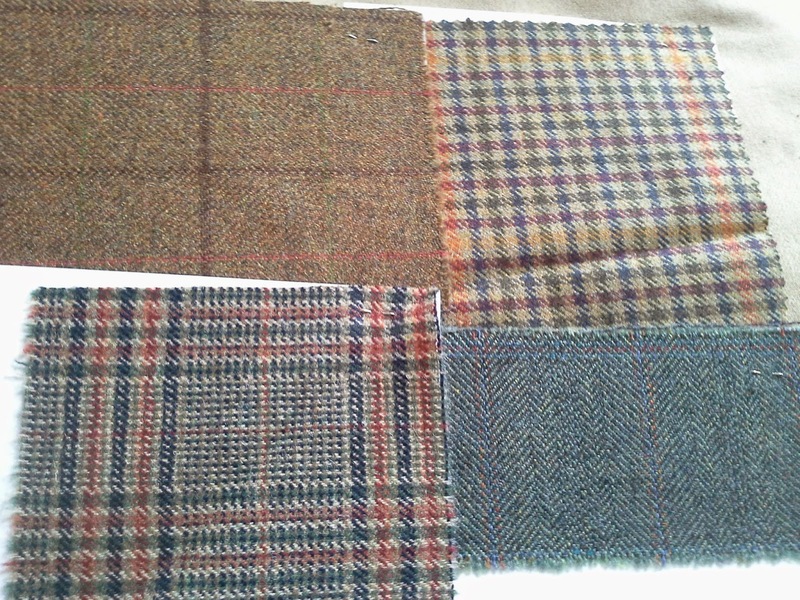 The cloth samples I received from Hunters of Brora. After some contemplation, I decided to go for the fabric called Littleferry (bottom right in the photo above). In the end it stood between that one and the cloth called Raey (bottom left). So, I ordered 2.5 metres of the Littleferry cloth. Now, I had decided on the fabric but then the big question arises, who's going to make the overcoat? I wanted to try something new and I was contemplating using another one of the many tailoring services in London. I am, however, actually in the Netherlands at the moment and I knew there was a tailor here in Leiden, within walking distance from where I live. Thus, I decided to try the local alternative and I visited Di Pecora and had a nice chat with René Schaap. He could get me the overcoat I wanted and at a price I found quite reasonable, so there was nothing to think about anymore, my new overcoat was going to be made by Di Pecora. 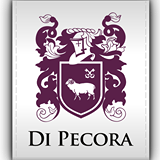 Di Pecora was established in 2007 by René Schaap. After many years working in the custom clothing industry at fashion houses like Emporio Armani and Pal Zileri, he decided to follow his dream and ambition of setting up his own tailoring service and thus, Di Pecora was born. A tailoring company with focus on quality and personal attention to the customers. Di Pecora is one of the very few services in the Netherlands delivering really bespoke clothes, and the only one in Leiden. If you can't make time to visit Di Pecora in Leiden, René Schaap will happily visit you where you are. He regularly visit clients within a 100km radius of Leiden. Di Pecora is, however, located in the beautiful historical centre of Leiden and is well worth a visit. With regard to my own visit to Di Pecora, it was a very nice experience. The service was impeccable and it is always great fun to discuss the design options for a new garment. To give you some hints about what the coming overcoat will look like, I will say that this will be a 3/4 length overcoat with a navy velvet collar, and some other navy details. The lining will be an orange fabric with a small diamond pattern. The overcoat will be presented in much more detail in part 2 of this series, which will be posted after the overcoat is finished. René Schaap at Di Pecora. with a small diamond pattern. Some of the garments at display. A morning suit at display. looking at the swatch book from Hunters of Brora. Now, all I can do is wait until the overcoat is finished. I have great expectations for this new garment and I am, indeed, hopeful that my expectations will be fulfilled.